Anderson Tube Company, Inc. is a stocking distributor of high quality pressure tubing certified to SA-178 Grade A and SA-214. Specializing in boiler tubes, condenser tubes and heat exchanger tubes, all Anderson Tube products are made in the USA. Our customers include mechanical contractors, original equipment manufacturers, fabricators, end users, exporters, tourist railroads, utility power plants and other distributors located throughout the U.S., Canada and overseas. 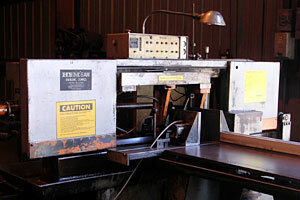 Anderson Tube's band saws give us the capability to furnish our entire tubing inventory cut to length. 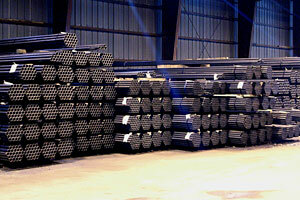 Our warehouse personnel take pride in the value they add to our pressure tubing products. Their precision cutting of boiler tubes, condenser tubes and heat exchanger tubes is equal to or closer than the tolerances of the ASME Boiler and Pressure Vessel Code. Many of our customers find this service to be both convenient and cost effective. Anderson Tube's Sales Service Representatives can offer a quotation for tubing cut to your specific requirements. For the convenience of our boiler tubing customers we carry ferrules and boiler tube plugs. Anderson Tube Company, Inc. is a stocking distributor of high quality pressure tubing certified to SA-178 Grade A and SA-214. 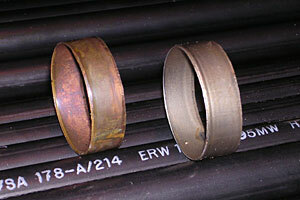 We specialize in boiler tubes, condenser tubes, heat exchanger tubes, ferrules, and boiler tube plugs. All Anderson Tube products are made in the USA.